What It’s About: When they move into a new house, strange things begin happening to the Lamberts, climaxing in their son Dalton (Ty Simpkins) lapsing into a mysterious coma. The Lamberts to move to a new home, but when the incidents continue, grandmother Lorraine (Barbara Hershey) consults family friend and medium Elise Rainer (Lin Shaye). Rainer reveals that the hauntings began with father Josh (Patrick Wilson), who passed on his ability to astral project to his son (and whose uncontrolled projections in childhood created similar troubles). Will Josh accept Rainer’s story and work with her to free his son? Why Watch it Today? : Director James Wan turns 37 today. Wan began his career with the gory Saw but recently moved into directing more traditional ghost stories with great flair and success. 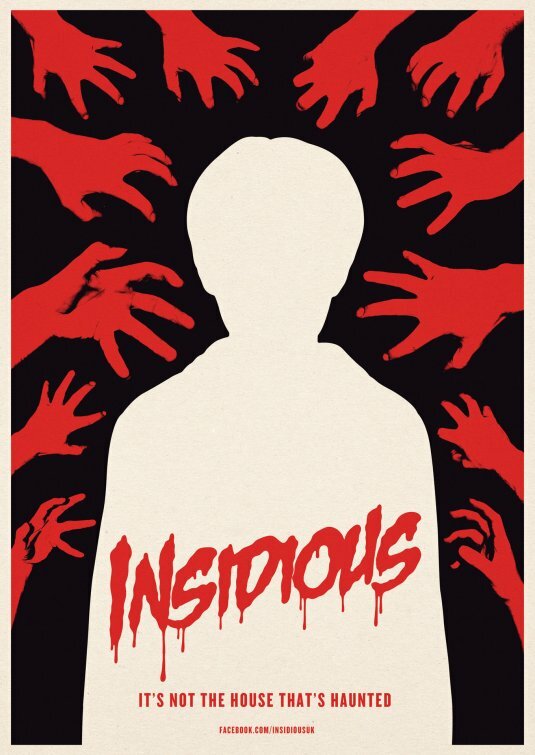 Insidious is a haunting film with a mix of great jump scares and creepy atmosphere, definitely worth a look for fans of things that go bump in the night. This entry was posted in Ghost, Horror, Independent, Movie of the Day, Possession, The Original and tagged Alliance Films, astral projection, Barbara Hershey, Canada, coma, father, father-son relationship, ghost hunters, ghost story, grandmother, haunted house, it's not over, James Wan, kid ghost, Lin Shaye, Patrick Wilson, twist.